To be a happy and effective business owner you need to bring your best self to the table. Easy to say, right? So how do you do this, day after day, year after year? How do we remain focussed and motivated when we are forever tempted by life’s distractions? There are many ways to achieve our goals, however, one of the most effective is to follow in the footsteps of others who have done it before us. Success, after all, leaves clues. Many of us have mentors to be guided by or alternatively we can use the work of some of the well-known authors and teachers of our time, such as Covey, Robbins, Frankl, Meyer or Canfield. Each of these extraordinary men and women has provided us with countless resources and clues on how to get (and be), what and who, we want in life. Summarised below is a small selection of the basic habits and quotes from some of these great role models to remind us of how we can be successful and satisfied in every area of our lives. The first time I was ever mesmerised by a keynote speaker was in 2003 when I had the privilege of listening to Dr Ben Carson, who at the time was Director of Pediatric Neurosurgery at Johns Hopkins Hospital, USA. Dr Carson overcame his troubled youth in inner-city Detroit to become a gifted neurosurgeon. He has now retired from medicine and is running for the Republican nomination in the 2016 US presidential election. During his speech Carson openly shared how, no matter what your circumstances or past, you can overcome, and achieve, anything you want in life. In spite of knowing this and already practicing it as best as I could, this particular 90-minute key-note changed the direction of my own life. Carson became one of my silent mentors. This notion of ‘thinking big’ is similar to Stephen Coveys habit of being proactive in daily life, both personally and professionally. To be proactive starts from within, and making the decision to improve your life through the things you can control rather than by simply reacting to an environment, to people and situations. Not long ago a colleague said to me, “if only I could feel better about my business, then I am sure I would feel so much better about myself.” The passion he once felt for his work was no longer there; daily anxiety had become a familiar foe and he had forgotten why he was even in business in the first place. Facebook is a fabulous medium for many reasons. For those of us who are business owners it can also be the perfect way to procrastinate and not achieve some of our daily action items. It is not uncommon to emerge from our mobile device wondering where the past hour has just disappeared to. Stephen Covey has written extensively on the topic of managing time, naming this as the habit of personal management. It is about always keeping our final outcome (our desires), at the forefront of our mind, then organising and implementing activities that are in line with our desires, our ‘why’. It is always helpful to remember we were given two ears and one mouth for a reason: so that we could listen more and speak less. To be an attentive and effective listener means to put yourself in the perspective of the other person, whether it is your client, business associate or prospective client. It is about listening empathetically for both feeling and meaning, so that you can best serve them, not only professionally, but possibly also personally if the need arose. One of Covey’s habits is entitled ‘sharpening the saw’. This is about self-renewal and maintaining balance in each of your dimensions of self-care, namely of the physical, mental, social/emotional and spiritual dimensions. It is about taking care of your greatest asset, which is you. The fastest method I have personally found to sharpen this saw is through doing whatever it takes to maintain a positive and healthy state of mind. 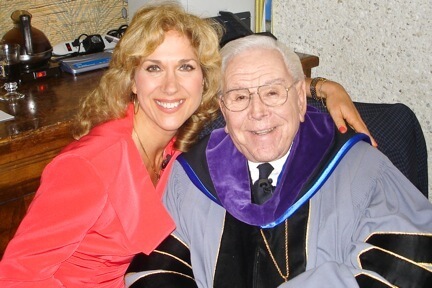 The late Dr Robert Schuller instilled in me the belief that “Tough times never last but tough people do.” He wrote and spoke extensively about the importance of a healthy self-esteem and self-belief. Developing an attitude of gratitude is a fabulous way to start your day, and again, to end your day. The simple act of daily gratitude is a silent secret to instant happiness. Mix this with a daily dose of good old belly laughter and you will be surprised as to how this daily combination can completely change your perspective on life. “The most wasted day of all is that on which we have not laughed.” Sebastian Roch Nicholas Chamfort. (1741-1794).